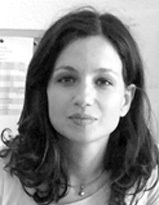 Katerina Flora is a lecturer of Clinical Psychology at Neapolis University Pafos. She has studied Psychology and has postgraduate studies in Clinical and Social Psychology (Aristotle University) specializing in addictions and psychosocial problems, in Social and Political Theory (Panteion University) and in European Literature (Aristotle University).Her doctoral thesis in clinical psychology relates to the systematic study of the important factors in the treatment of dependence on psychotropic substances. She is trained in Cognitive Psychotherapy. She has scholarship from State Scholarships Foundation (IKY), she has received a scholarship from the German Ministry for vulnerable population groups (Bundesministerium fur Familien, Kinder, Frauen und Senioren) and she has postgraduate training in youth counseling (Berlin & Cottbus, Germany). She has received Postdoctoral Excellence Scholarship from the Aristotle University of Thessaloniki (2012). She has worked in psychosocial rehabilitation structures and as a therapist for children and adults. She has participated in European psychosocial care, intercultural approach and youth counseling programs in Switzerland and Germany. She is a Member-Director of Network researchers for youth issues (General Secretariat for Youth). She has taught at the University of Macedonia University of Western Macedonia and Epirus Technological Institute the subjects of Clinical Psychology, Counseling and Social Psychology. She has published scientific papers in international journals and she has conference presentations in the field of psychosocial problems and psychotherapy. Her research interests include the prevention and treatment of psychosocial problems, positive psychology, narrative approach and the study of the social factors of mental illness.